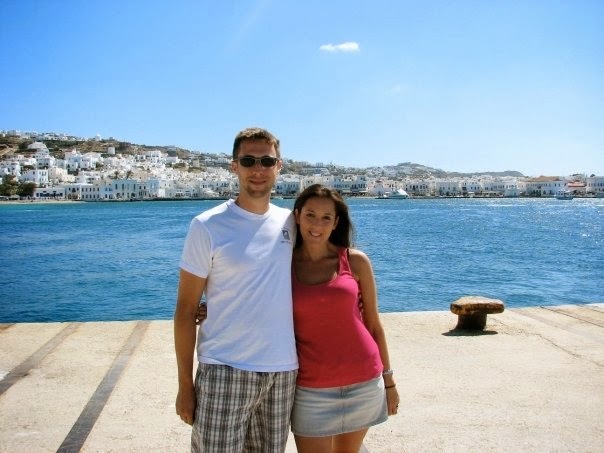 Eight years ago to the day, my husband and I had our very first date. It was a warm but misty Thursday evening. I was going to be meeting him for the first time directly from work, and I worried that my hair would be a frizzy mess by the time I arrived. After sneaking away from my desk a bit early to carefully flat-iron it at my office (a girl can never have too many backup hair tools hidden away), I threw a scarf over my head and miraculously found a cab (no small feat at rush hour in midtown Manhattan) to take me to a bar at the Maritime Hotel in Chelsea. Fate was on the side of my hair that day, among other things! Upon entering the bar, I probably walked by him two or three times before finally calling his cell to see if he'd arrived. Turns out, my future husband was right there in front of me all along, I just hadn't recognized him because he was even cuter than his picture. One great date (filled with scintillating conversation and two **ok, I'm lying** glasses of very nice Nero d'Avola) and nearly a decade later, he's as lovable as ever. He shares my passion for food (teaching him to be a more confident cook and creating elaborate dinners together were major themes in our courtship) and he still makes me laugh on a daily basis. Among the many qualities I admire about my hubby is his willingness to take on projects that require patience and precision. He's willing to practice things intently and takes pride in mastering new skills. That's why I knew he was just the person to tap when I decided that this summer was to be about my ever-growing obsession with Oysters! No sooner did I ask my main squeeze to buy the appropriate equipment (a special shucking knife and safety glove) and study up on how to shuck my favorite bivalve, than an expertly-prepared Oyster feast was before me. He definitely knows the way to my heart. Today, I am sharing my lovely twist on Classic Oyster Mignonette (a mixture of vinegar and shallots often seen as an accompaniment to Oysters on the Half Shell), which was my contribution to his aforementioned shellfish spread. 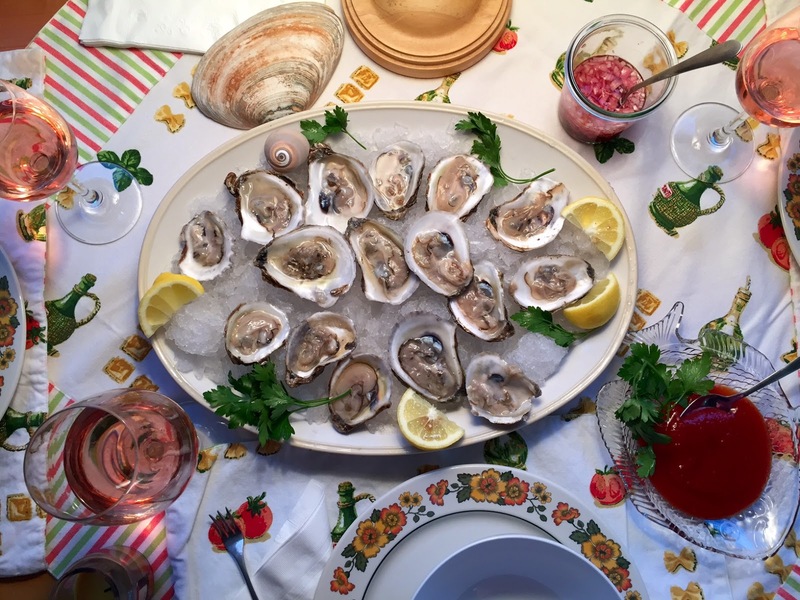 Using a delicious Dry Rose (a classic Oyster pairing), I took traditional Mignonette and softened its acidic quality just a bit so that our Peconic Pearls could really shine. Making your own Mignonette takes minutes and it's the perfect, minimalist accoutrement to Oysters. I love cocktail sauce and horseradish as much as the next guy, but a little Mignonette really allows the Oysters to stand on their own. So here's to that special guy and the very special cocktail hour he made possible for me. Combine all the ingredients and serve alongside freshly shucked Oysters on a bed of ice! The Mignonette can be made ahead. 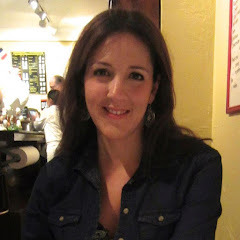 Tip: If you're as into Oysters as I am, I recommend you check out In a Half Shell blog. It's the ultimate destination for Oyster lovers (including wonderful city guides on where to find the very best) written by a talented woman who eats, sleeps and breathes them. Enjoy! I have long contended that in the wide world of bagel flavors, the Everything is, hands down, the most quintessentially New York. In a related story, it also happens to be THE BEST. How could it not be? It's got it all - something for everyone, just like the city I associate it with. This is why I've had big plans to concoct my own Everything Topping for quite a while now. Since I don't do too much in the way of baking, I had visions of working it into hors d'oeuvres. It was in brainstorming this year's annual Mad Men premier recipes (prior viewing party menus here and here) that it dawned on me that adding Everything Topping to everyone's favorite hors d'oeuvre, you guessed it - Pigs in a Blanket, would be the perfect way to make a classic cocktail party favorite new again while also making it a little more "New York." These Everything Pigs In A Blanket are incredibly easy to make and have just the right amount of wow factor to make them the perfect party offering that will also please a crowd. I like to serve them with grainy mustard for dipping, but they are delicious on their own as well. Use good quality Hot Dogs and if possible, serve them fresh from the oven. You can also microwave the pigs in 20 second intervals if you need to heat them from room temperature. Now it wouldn't be a Mad Men premier without at stiff cocktail, so we've included a purist version of the Old Fashioned - a favorite of Don's, minus the muddled fruit, and presumably the truest form of the classic drink. 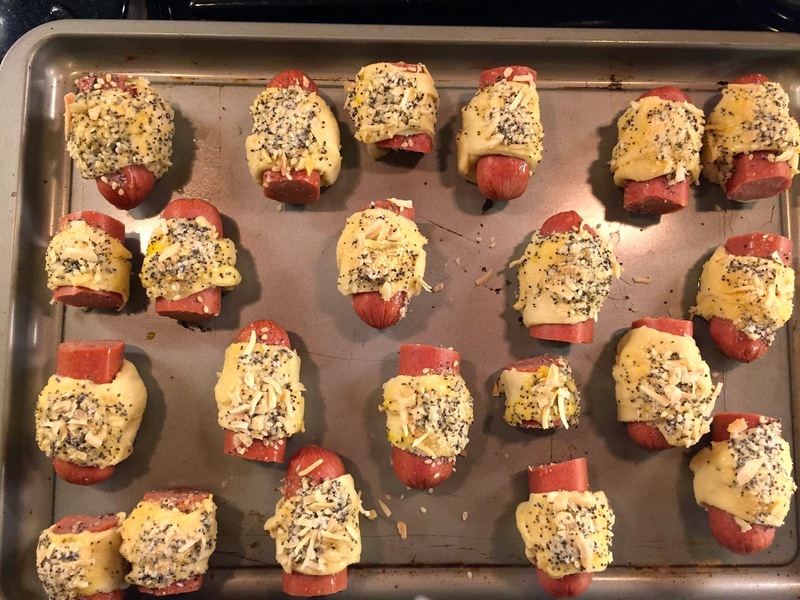 Cook's Note: The Everything Mix below is formulated specifically for use in these Pigs In A Blanket because the salt content needed to be balanced with the salinity of the Hot Dog. If you would like to make true Everything Topping for use on something more plain, such as rolls or, of course, bagels, simply use 1 teaspoon of Kosher Salt rather than the 1/4 teaspoon required below. 1. Preheat the oven to 375 with the rack in the middle. 2. In a small bowl, mix the ingredients for the Everything Topping. 3. Unroll the Pillsbury Crescent Rolls on a work surface. Carefully pull apart each triangle and cut them the long way using a sharp knife in order to create 3 skinnier triangles. 4. Starting with the base of each triangle, roll each Hot Dog third up in one piece of dough. When finished, press the point of the triangle into the dough to seal. Repeat until all the dogs are wrapped. 5. Using a pastry brush, paint the Egg Wash across the top of each Pig. Press 1-2 generous pinches of Everything Topping into the dough. 6. Place the pigs in the oven and bake 18-20 minutes, turning the pan midway through the baking, until pigs are golden brown and puffed. 7. Serve warm with optional grainy mustard! A simple yogurt sauce or dip with Cucumber and fresh Dill, Tzatziki is indispensible in Greek Cuisine. Every culture has its version of pre-meal nibbles, and in the Near East and Balkans, these are collectively called Mezze. 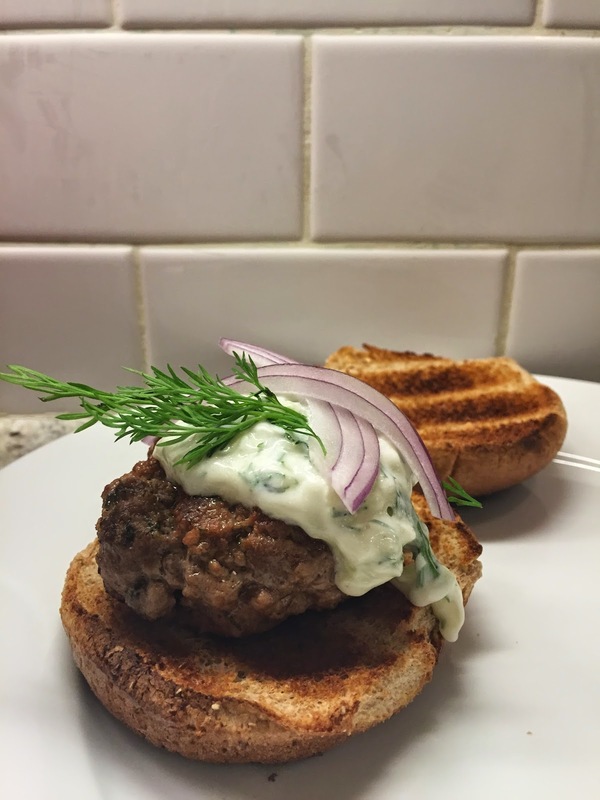 I am excited to show you how simple and delicious today's Tzatziki is. It's the perfect dip to make for your next party (great served with Pita or Pita Chips) or a deliciously easy offering if you're a guest at someone else's fete. We've served ours atop basic Lamb Burgers, but the possibilities are really endless. 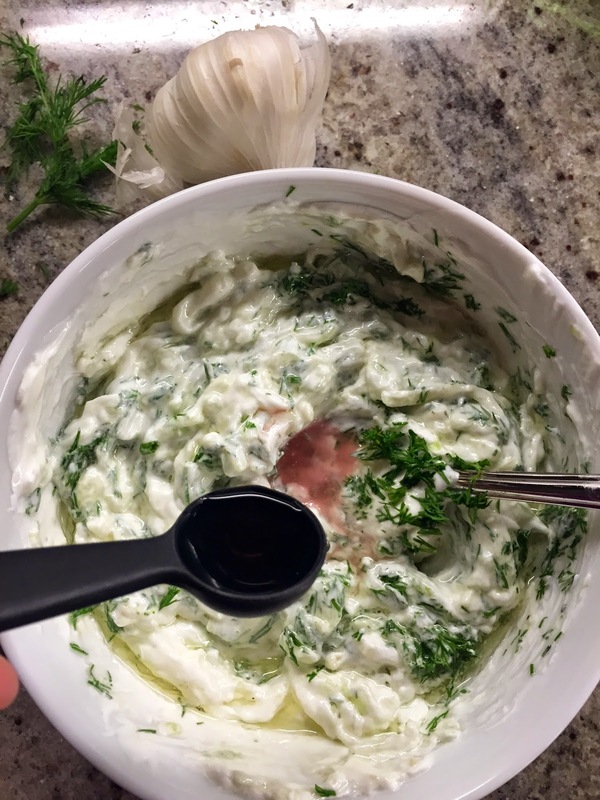 The key to Tzatziki is simple - Let it sit in the fridge two or more hours so the flavors blend and develop. But first, let's quickly explore some of my other favorite Mezze. We'll look forward to getting around to making these soon enough! 1. In a bowl, mix all the ingredients except the Olive Oil and Lemon Juice. Add the Oil and stir together gently. Finish with 1-2 optional squeezes of Lemon. 3. When ready to serve, taste for Salt and add extra if needed. Serve alongside Pita or Pita Chips. Enjoy!